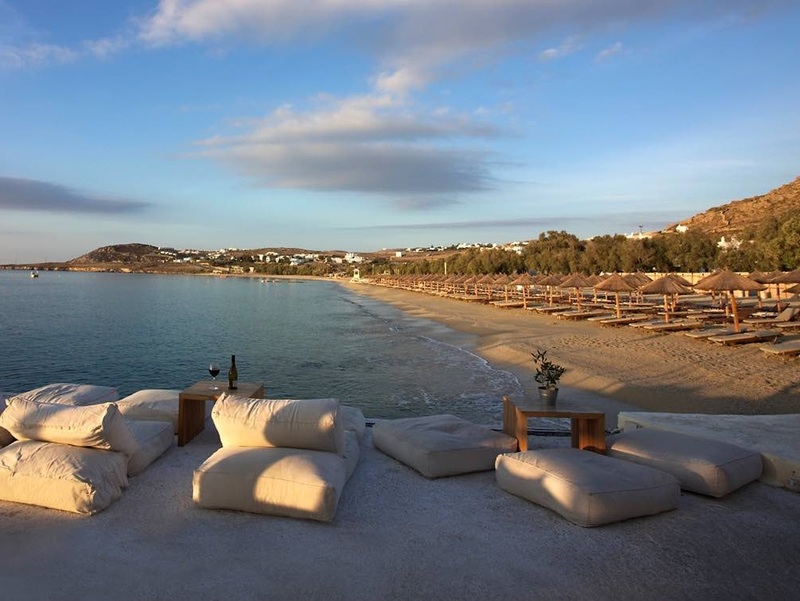 The Kalafatis beach of the Aphrodite Beach Resort on the island of Mykonos has once again received the Blue Flag award. The Blue Flag is the world’s most recognizable eco-quality symbol, awarded since 1987 to beaches and marinas that meet the high standards set by the Hellenic Society for the Protection of Nature (EEPF). Greece this year ranked second in the world after Spain on the Blue Flag quality award list among 47 countries. Kalafatis is a 2-km-long beach, located on the southeastern side of the island and has been receiving the Blue Flag label for the last 25 years. Managed by the Aphrodite Beach Resort’s team, it includes sunbeds and umbrellas and offers a variety of water sports activities. The four-star Aphrodite Beach Resort features luxury facilities on the Kalafatis bay including a spacious swimming pool, a beach bar, a tennis court, a gym and three Mykonian chapels, making it an ideal venue for a romantic wedding or getaway to Mykonos.